So many things happening on Instagram. We’re all trying to make sense of it all. And it’s frustrating. It seems a lot of us are getting less likes on Instagram. And if we have less likes on Instagram it is hard to grow our account. 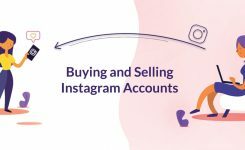 Instagram relies on this metric to assess if our account is valuable or not. If a lot of people like our post, Instagram will show it to more people. If you didn’t know, Instagram doesn’t allow us to use any automated tools such as bots and automatic post schedulers. All these tools are against Instagram’s Policy. Last month, the most popular bots app, Instagress, was shut down by Instagram. This means that thousands and thousands of accounts were left without a bot liking automatically for them. Same goes for comments. If you’ve ever received these “nice photo”, “cool”, “check out my account” comments… or if you have been victim of the follow-unfollow trend… You can now thank Instagram. The social media platform is getting rid of spam. Unfortunately, it also means that we are going to get less likes because these bots were automatically liking our posts. Less bots = less likes. We need to re-adjust to our new numbers. Don’t be alarmed if you see a decrease in engagement. Last month was also when the whole Instagram community raged against the Instagram shadowban. It happens to everyone… out of nowhere… without any notice. The only sign of a shadowban: Our hashtags don’t work anymore. If Instagram hashtags don’t work anymore, it means that no new people can see our posts, let alone like them. The Instagram shadowban seems to have something to do with hashtags. After researching, we found out that some hashtags were banned or blocked by Instagram. They can be blocked temporarily or indefinitely. Silly hashtags like “desk”, “tgif”, “beautyblogger” are blocked. This means that no one will be able to find your post under these hashtags. Check if your hashtags are blocked before you use them. We’ve also noticed that over-used hashtags (with millions of posts) seem to get us banned. As a result, we have resorted to implementing a really good mix of hashtags in our hashtag set. This is a conflicting topic in the community. But here is what is being said. Many people have acknowledged the risks of switching to a business profile. When you switch to a business profile you signal to Instagram that you are a business. Businesses are the bread and butter of Instagram (and its parent company, Facebook). Remember when Facebook made pages’ organic search nonexistent in 2007? It is only natural that Instagram wants us to pay to get more engagement (likes). Why would we get all the perks of a business account (Instagram analytics & contact buttons) for free? Think about it. 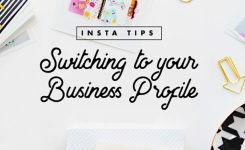 Therefore, if you switch to an Instagram Business profile, you might experience a decrease in engagement. it is still possible to rock your business page but it might take more time to gain traction. Instagram’s home feed is not chronological anymore. This means that your followers won’t immediately see when you post something new. Therefore, they won’t (all) immediately like your post. The more you interact with an account, the more it will show on top of your home feed. Instagram will take note of which account you seem to “like” and “engage with” the most. So they will show you these accounts the most. Moral of the story: Interactions are important. The more you interact with your followers, the more likely you are to appear on top of your followers’ feed in return. Quick tip: Turn on the notification for accounts you never want to miss. If you want them to think about you, you need to think about them. On top of that, something else has been happening the last few weeks. We have noticed that we’re seeing 2 days old posts in our home feed. What?! No wonder less people are liking our post… if they see it 2 days later. The good thing about it is that our posts have a longer shelf life. The sad thing is that if not many people (our followers) see it as soon as we post it. I strongly recommend you have a solid hashtag strategy. Hashtags are the way people find your account. So if your followers see your post a day later, at least you can attract new people as soon as you post. The Insta Stories feed is located on top of our home feed. So it is tempting to watch Stories instead of scrolling down. Moral of the story: Tell your viewers in your Insta Stories when you have new post up on your feed. Use your Instagram feed for sticky content. Create a strong visual strategy and support it with a hashtag strategy. Consider your Instagram feed as a business card. Give people an unforgettable first impression. To do that, learn how to visually plan your feed in advance using Preview app. 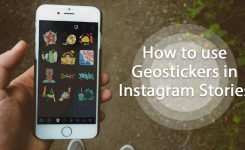 Use Insta Stories to keep in touch with your people. Read this resourceful article by Sue Zimmerman Instagram Stories: 7 Tips For Improving Viewer Retention. Schedule your Insta Stories in Preview App. Consistency is the golden key to grow on Instagram. I’ve noticed that when I don’t post for 2 days, Instagram has forgotten me. I receive less likes than usual. It takes me longer to bring my account “back to normal”. Quick tip: Take a couple of hours at the beginning of the week to schedule your feed in advance. Then all you have to do is post.